Please note! For ultimate body and being love; use organic ingredients when possible. Mix in a blender. 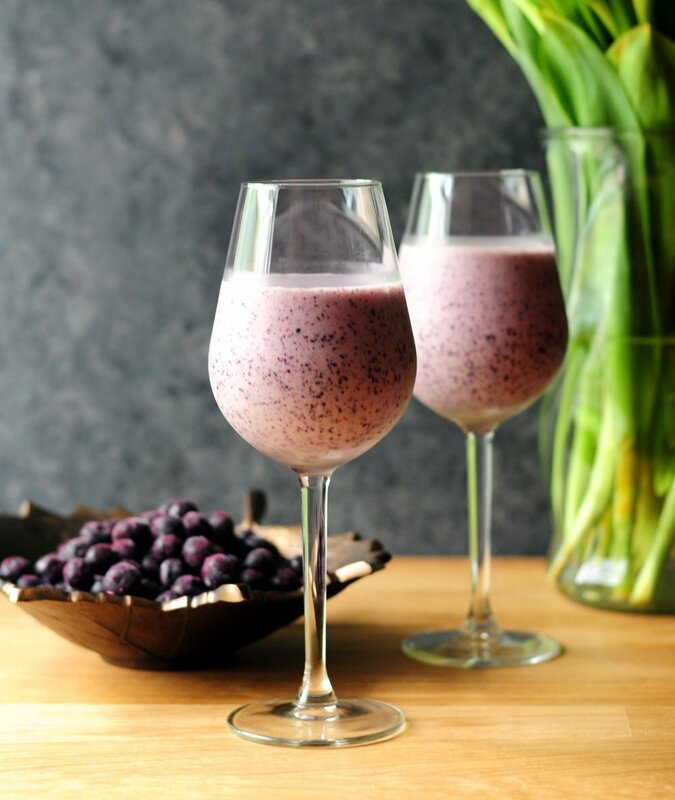 Pour in a beautiful glass and enjoy sipping your clean alcalizing energizing smoothie. Hand on heart, do you listen to your body? Do you stop long enough to tune in to the sensations in your body? What messages is it sending to you? Ever ponder on what brings energy to your system? Vs what depletes you and robes your body and being of energy? Are you aware of when your cup begins to be too full, too dull, or maybe even too empty or down right just chipped and wrong? Do you have a sense of when there is a need to recharge and bring on more of your Zen? As a contrast to your busy day. No matter how fun and exciting. There is a much needed interplay between the polarity of action and relaxing. The Sympathetic and Parasympathetic nervous systems both have a finger in the game when it comes to balancing your wellbeing and functioning. Tell me, in what areas might you be out of alignment? Not in line with what’s dear to your heart and your soul’s calling? We humans are so much more than a body on two legs. We are bodies and beings in one. Souls incarnated or how ever you desire to express that. Sweet Bee, this is what the massive on-going soul ascension is all about; to be aligned with your highest consciousness and the soul-whispers calling you forward. While at the same time loving your body to tag along for the energetic ride. Oh, Yes. It’s on. It’s happening. For You. Not to you. You are here to serve, right? You know it in your bones. Know that the ascension induced shedding and shifting is your birth canal to becoming an even more masterful transformational heart-centered spirited leader, teacher, healer and high priestess. Energy tools and support are the Bomb for the times we live in! They are of the uttermost importance for how to best take care of your holistic wellbeing and for inviting a more smooth ride for your ascension journey. Yes, energy maintenance is more crucial than ever before. It ought to be top of mind for your morning, evening and a number of times in between. Remember, every day and every hour is an opportunity to love yourself up! Sometimes it’s just as simple as a having a green smoothie, a drop or two of essential oil, do a Mindfulness exercise, a Yoga class, meditate, take a walk in nature or reach out for transformational holistic coaching and healing support. Or whatever it might be that speaks to you and have the ability to be the change that makes the change in your life and for your soul-filled business. P.S. Do you feel drained energetically? Unsure why, what to do and where to go next? Desire support to better handle going through ascension while also up-leveling and running your soul-lit and heart-based business?